FD experts advise investors to have a fixed deposit calculator excel with them so that they can get the maximum benefit of their personal financial planning. Fixed deposits or FD investments have always been a tricky matter, one that needs personal attention, consistent planning and the ideal asset mix. You need to have clear-cut financial goals that you intend to achieve at various stages of your life. Investors need to account for specific goals while calculating the fixed deposit returns. These goals include higher education, buying a property, first vehicle, marriage, travel, family planning, child’s education, retirement, etc. These goals could be achieved if you plan sensibly and start at an early stage. It is advisable for the FD investors to have a fixed deposit calculator excel with them so that they can get the maximum benefit of their personal financial planning. 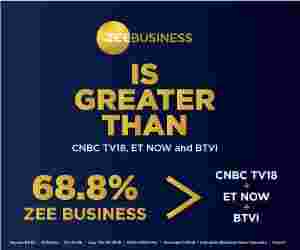 Speaking on the matter Sachin Sikka, Business Head - Retail & Corporate Liabilities at Bajaj Finance Limited told Zee Business online, "Wealth creation has always been a long-term exercise and is primarily determined by your asset allocation strategy. As investors you can choose from equities, fixed deposits, gold, real estate, debt, etc. the options are way too many. You should ideally allocate your money across different asset classes to ensure you minimize your risk and consistently increase your wealth. However, most of the asset classes are becoming increasingly volatile due to a combination of factors – upcoming Lok Sabha elections, dollar fluctuations, unrest between countries, volatility in oil prices, etc." Sachin went on to add that while most of the asset classes are prone to market volatility and come with their own set of risks, fixed deposits (FD) ensure that you get guaranteed returns and demands very little effort all without ever putting your principal at risk. Fixed Deposits work on a simple principal - high liquidity and lower risk along with fixed returns. One of the primary advantages of FD is that it protects your capital in the long run and also gives you assured returns. Flexibility is one more element that makes this asset class an attractive one. The tenure of a Fixed Deposit can range from 7 days to 10 years, giving you ample flexibility. Elaborating upon the returns and time-frame relation Sachin Sikka said, "Longer term FDs yield higher interest rates than short term ones. It just makes much more sense for you to park your money in a 10 year FD to ensure maximum gains on your investment. In today’s digital age, FD can be bought within a few clicks with minimum documentation. One more crucial choice that one has to make is to whether invest in a Bank FD or a Corporate FD. Historically, banks have offered FDs at a significantly lower interest rate as compared to company FDs. Company deposit rates are generally 50-100 bps higher that well-established bank FDs; senior citizens can earn 25-40 bps more than the normal rates on offer. However, you should choose a company deposit, which has the best credit rating from agencies like Crisil, ICRA among others." However robust our portfolio might be, it is always wise to safeguard a significant portion of your saving capital. Whether you are risk-averse or a risk taker, fixed deposits are a form of investment that suits all and hence, ideally, one should have at least 20 percent of their investments in Fixed Deposits. It is one of the best hedging tools that balances your overall investment portfolio.